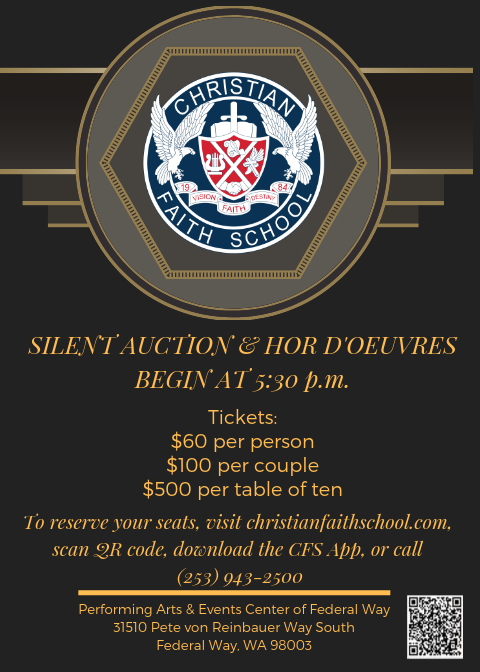 The Christian Faith School Annual Auction Location is Federal Way Performing Arts and Event Center on May 3rd! For more than 30 years, Christian Faith School has been committed to offering families a superior Bible-based education that equips students to be socially relevant leaders who are fully prepared for higher achievement. We expect them to make a distinct and positive difference in our world. Today, we lead our region in cultural diversity, as we offer an exceptional and engaging education for students from preschool age through high school graduation that produces students who lead with integrity and wisdom. Christian Faith School offers financial assistance to current and prospective families. While the average cost of educating a student in Washington State is nearly $11,000, Christian Faith School, on average, is 65% to 75% of that cost. Christian Faith School offers an exceptional education at an affordable cost with an emphasis on responsible leadership development. 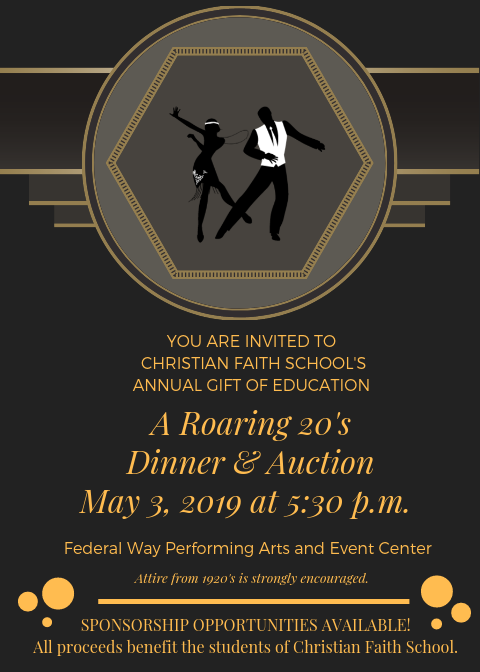 The annual Gift of Education - A Roaring 20s Dinner & Auction - will take place on Friday, May 3rd, 2019, at the beautiful Performing Arts and Event Center in Federal Way. 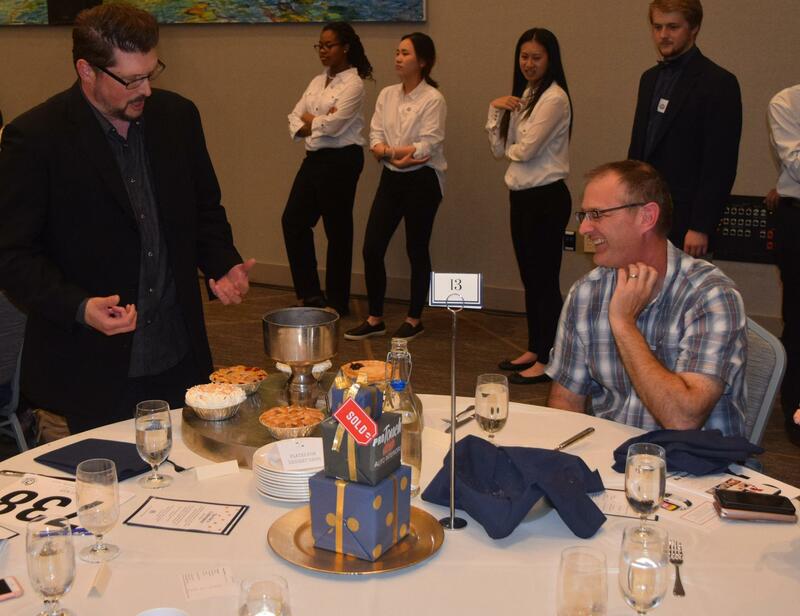 Our goal is to raise $80,000. We can meet our goal with the help of community partners like you. Just a taste of some of the fun from 2018! Be sure to save your seat and get your tickets early!